Properties in Province of Catania average 4.5 out of 5 stars. Property 21: Etno village "Federico II"
Tenuta San Calogero. Agriturismo with pool. 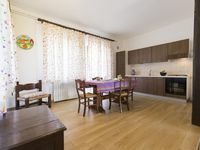 Property 41: Tenuta San Calogero. Agriturismo with pool. Delicious Romantic Cottage - NIDO, in "Agriturismo Don Cesarino"
Property 45: Delicious Romantic Cottage - NIDO, in "Agriturismo Don Cesarino"
CASETTA IMMERSA AMONG THE OLIVE MILLENARI - Jazzo, in "Agriturismo Don Cesarino"
Property 46: CASETTA IMMERSA AMONG THE OLIVE MILLENARI - Jazzo, in "Agriturismo Don Cesarino"
The apartment is in good condition an everthing is as sees in the pictures. Giovanni was a great host and available by phone at all times. The house is in a remote and quiet location and the view from the garden and pool is very nice. You'll need a car but it is perfect for seeing Sicilys eastern coast citys and Etna. we would not hesitate to recommend this place to others.